Protect the factory finish of your fenders from the blunt impact of flying rocks, mud and other road hazards with our custom fitted Mudguards. Made of ultra-durable black plastic. Uses pre-existing holes. No drilling required. Had them on in less than a 1/2 hour. Didn't have to take off the tires, everything screwed in with easy. I used a power drill. 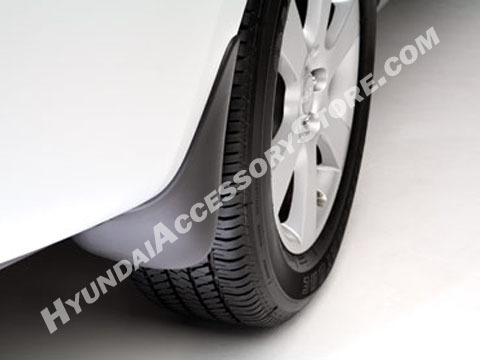 Plastic was authentic hyundai design & sturdy. Very happy with my purchase.